As a Partner and Senior Vice President of The Bulfinch Group, Tom plays an integral role in the continued success of the firm. Through his dedicated leadership, he has helped guide the firm to serve clients with the highest level of service. In addition, he helps educate and inspire Financial Advisors to build a fulfilling career by creating an environment that encourages an entrepreneurial spirit. Tom is a 30-year veteran of the financial industry. Initially joining Wellesley Financial Group in 1989 as a Financial Advisor, he spent the next fifteen years in personal production, learning the business and serving his clients. After achieving multiple management accolades, Tom assumed a leadership role with the firm, shifting his focus from client acquisition to talent development. 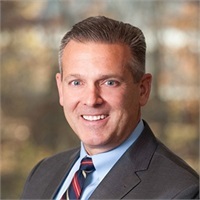 In 2016, The Wellesley Financial Group merged into The Bulfinch Group, and Tom was appointed Partner and Senior Vice President. Tom dedicates his decades of experience to help drive the strategic direction of The Bulfinch Group and foster an environment of growth and development for its devoted team of professionals. Tom devotes time to his local community, where he serves on The Bulfinch Group Charitable Foundation’s Board of Directors. To date, The Bulfinch Group Charitable Foundation has awarded nearly $250,000 to more than 50 non-profits including Riverside Community Care’s Trauma Center, Beth Israel Deaconess-Needham Hospital, Children’s Hospital Boston, and the Red Sox Foundation. Tom is a graduate of Northeastern University, where he received his BS in Business management. He has earned several professional designations, including the Chartered Life Underwriter® (CLU®) and Chartered Financial Consultant® (ChFC®) designations from the American College and is a Life Underwriter Training Council Fellow® (LUTCF®). A resident of Milford MA, Tom and his wife, Doreen, have three adult children and enjoy traveling and hiking among other outdoor activities.